Riesling wines are white wines known for their crisp acidity and sweet flavors. The grapes are deeply affected by the conditions in which they are grown, and the terroir imparts flavors that shine through in the wines. While many consider Resiling a "lightweight" wine, there are many stunning examples that reveal just how complex and flavorful Rieslings can be. There is no other wine in the world quite like a Riesling. The white wine grapes have an affinity for the cool weather and the slate mineral soil found throughout Germany and Alsace. At its best, Riseling is quite acidic, with green apple, melon, apricot, mineral, and spice flavors. Depending on how late in the year viticulturists harvest the grapes, Riesling can range from crisp and dry to sweet and spicy. 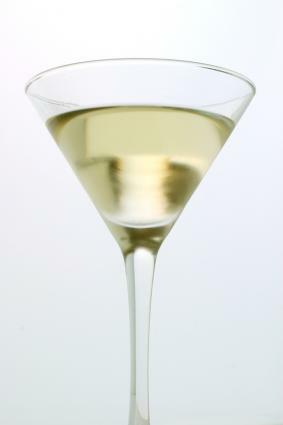 Many Riesling wines are honeyed dessert wines that avoid being cloyingly sweet because of the presence of acidity. The balance between sweetness, fruit, acid, and minerals provides Riesling wines with startling complex flavors that rise above many of the other white wine varietals. Unlike many white varietals, winemakers do not oak Riesling. To do so would compromise its crisp clarity. Germany is the primary Riesling grower, particularly in the Rhine. Alsace, which sits on the French border with Germany, also produces high-quality Riesling wines. While you can find other examples of Riesling wines from the rest of the world, many pale in comparison to the wines from Germany. Rieslings grown in areas that are too warm may develop petrolium like flavors, while those grown in cool climates maintain their crisp acidity and sweetness.The conditions in Germany are ideal for producing flavorful, complex Rieslings. Other areas that produce Riesling include Australia, Washington, Oregon, California, Austria, and Canada. Riesling is a varietal that stands alone, and is seldom blended with other wines. Riesling wines are further categorized depending on when in the season the winemakers harvest the grapes, and the brix (sugar) level in the wines arising from the natural sugars of the grapes. While this classification system exists mainly in Germany, other winemakers utilize similar winemaking styles and classifications. These wines tend to be dry and acidic, however, they can range in sweetness. They are sold predominately in Germany as table wines. Kabinett: Harvested the earliest in the season, Kabinett wines are crisp and generally dry. They are meant to be drunk with meals as a quaffing wine. Spätlese: These wines are late harvest wines. As such, they tend to have higher sugar content, a thicker viscoscity, and lower alcohol. The wines are both crisp and honeyed at the same time because of the presence of acid that is natural in Riesling grapes. Think of biting into a very ripe apple that is both sweet and crisp at the same time. This is the experience you have with a Spätlese. Auslese: These wines are select pickings of very late harvest grapes. Along with the crisp acidity of the other wines, they also have the flavors of ripe fruits. The wines tend to be low in alcohol and fairly high in sugar. Beerenauslese (BA): These wines are made of selected overripe grapes. They are dessert wines. Trockenbeerenauslese (TBA): Made from grapes that have almost shriveled to raisins on the vine, TBA wines are honeyed dessert wines. These wines are made from grapes harvested after the frost, and processed while the grapes are still frozen. Considered dessert wines, Eisweins contain a remarkable combination of purity, concentration, sweetness and acidity that makes them stand out among the best dessert wines in the world. Riesling can be aged if it has a lot of residual sugar. Hi brix Rieslings can age for decades, although they drink well young, as well. Drier Rieslings need to be drunk within a few years of bottling. Store Riesling at 50 to 55 degrees Fahrenheit in a vibration free, low light environment away from extreme fluctuations in temperature. Just as the grape has an affinity for cold temperatures, so does the wine. Serve Rieslings chilled, at about 45 degrees Fahrenheit. This temperature brings out the crisp minerality from the slate in the German soil. The wines are very versatile wines, and the dry versions pair well with fish, shellfish, and poultry. Sweeter versions work best alone, with sharp cheeses, or with fruit as a dessert. If you have never tried a Riesling from Germany, you will be surprised at the flavors it reveals. If none of the above wines appeal to you, talk with your local wine shop and ask for recommendations. This versatile and delicious wine is sure to become a favorite.